When Maddi’s mom came home bearing terrible news. Lynn Lambert was not going to get better. That was that. On the evening of March 13th 2011, Maddi’s next door neighbour Lynn had passed away due to a rare form of skin cancer. In May of that same year Maddi had heard the news of her classmates’ brain tumour diagnosis. Julia Turner had fought with everything she had for a long seven months, but unfortunately passed away on December 23rd 2011. Both of their deaths were sudden and quite shocking. Maddi could not sit back and watch cancer take those she loved. She needed to do something to honour her friends and to say goodbye. 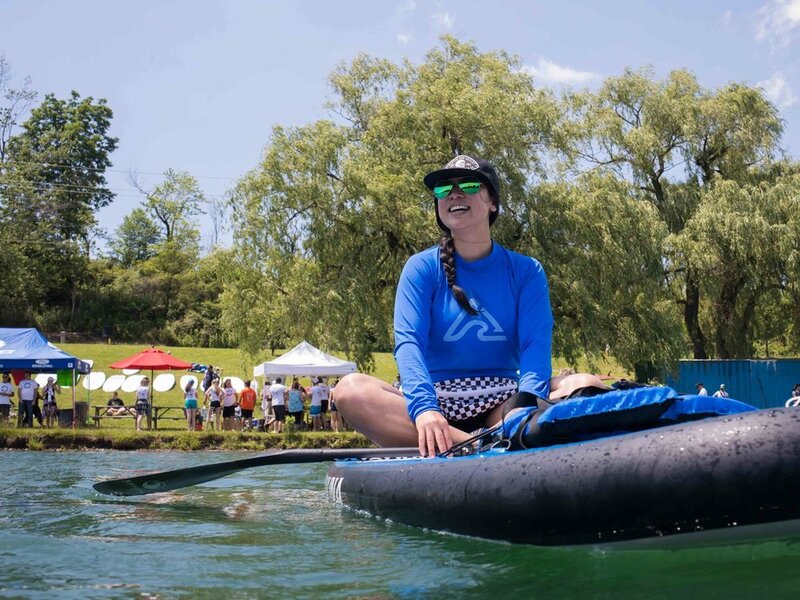 After buying her first paddle board in 2012, she came up with the idea after paddling on the Welland canal one summer evening in 2013. After much thought she went ahead with her idea and created On Board in 2014 with the support of her family and friends. 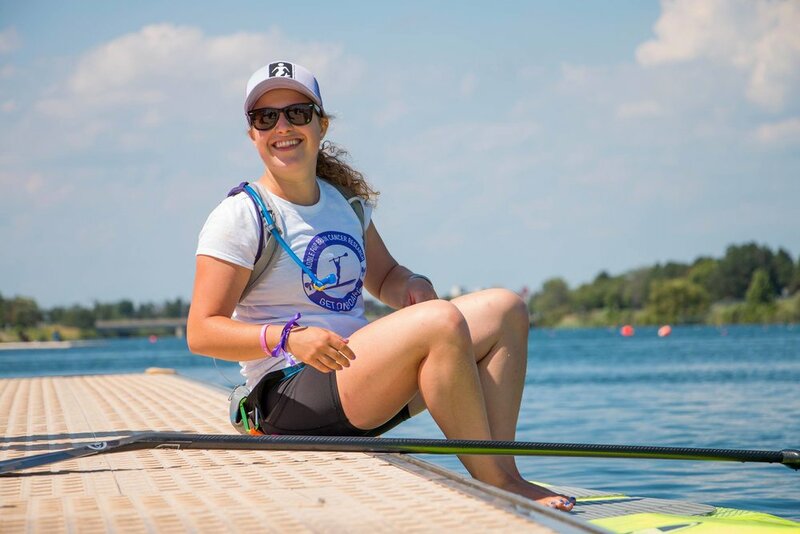 On Thursday July 14th 2014 Maddi Leblanc paddled 10km’s down the Welland Canal starting at the Welland International Flatwater Centre heading north to the Welland Community Boathouse. 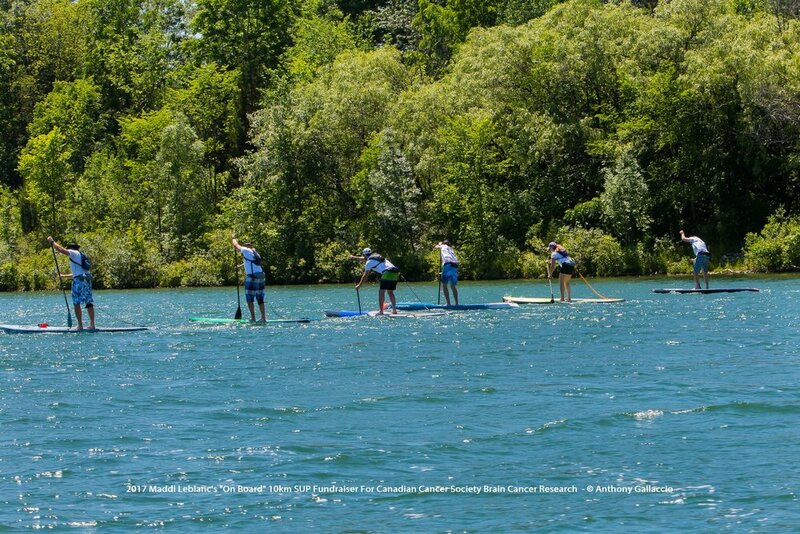 It was there she turned around and ended her paddle at the WIFC. 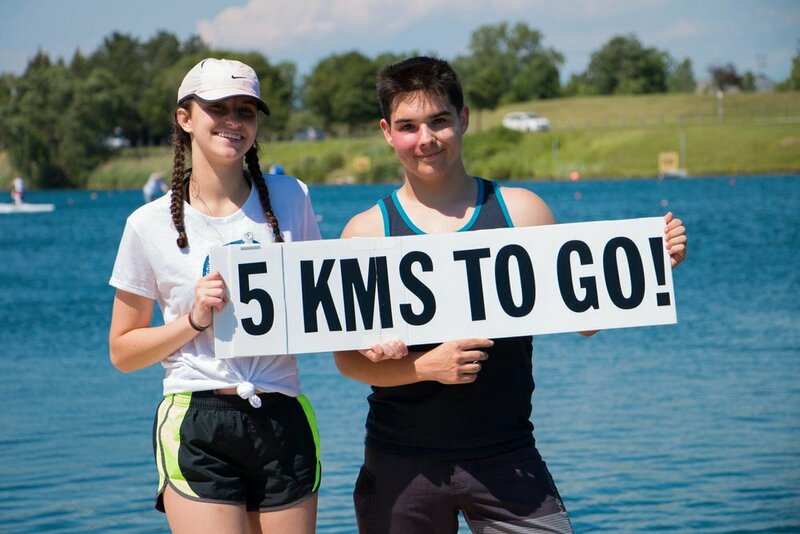 Even though she completed the paddle by herself, over a hundred participants came out to watch her journey and donate to her cause. On Board had raised just over $4,000 in its first year. 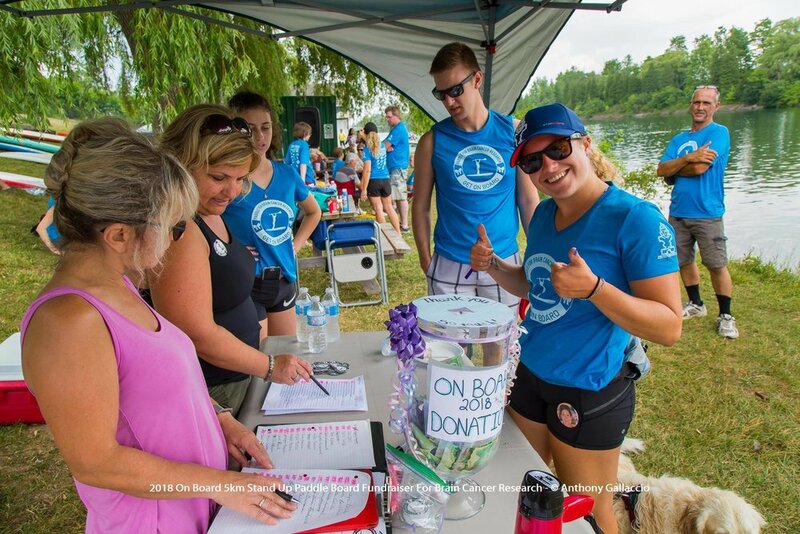 Now an annual event with over 18 sponsors, On Board has raised over $30,000 towards brain cancer research with the Canadian Cancer Society in honour of Lynn Lambert, Julia Turner, McKenna Modler, and Dalton Jacques. 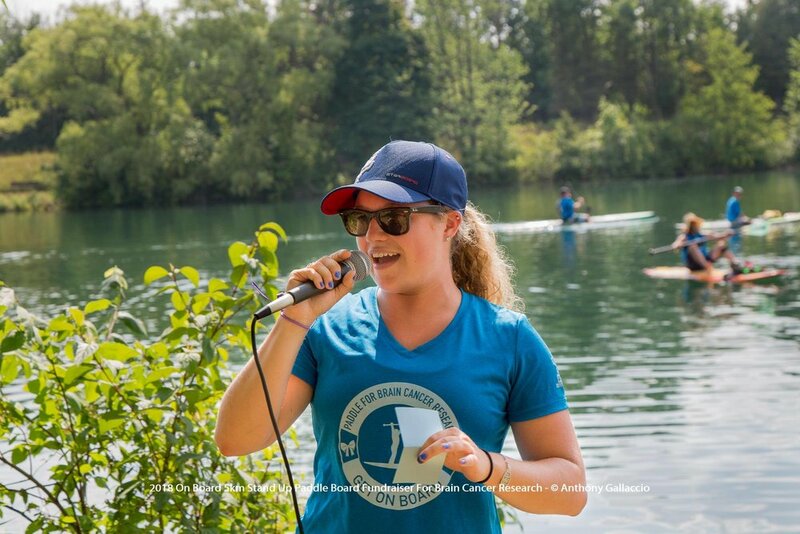 The event encourages anyone with any paddling craft and experience to join Maddi for a fun paddle on the Welland Canal to give back to those we have lost to such a horrible disease.